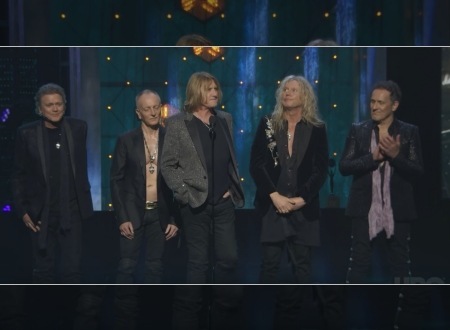 Def Leppard's 2019 Rock And Roll Hall Of Fame induction will be shown on HBO TV in the USA soon and a preview video is available. 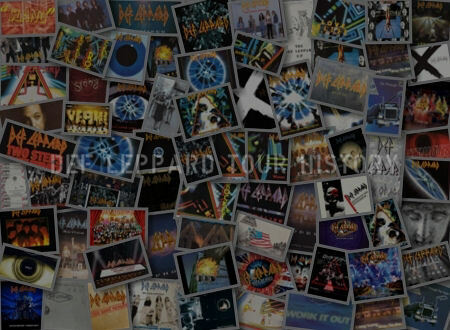 As announced last month when Brian May was confirmed as the inductor, the 34th annual Rock And Roll Hall Of Fame Induction will be featured on 27th April by HBO in the USA. 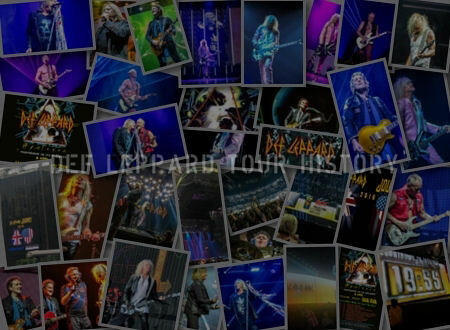 Brian May and Joe Elliott's induction speeches will be shown during the broadcast. 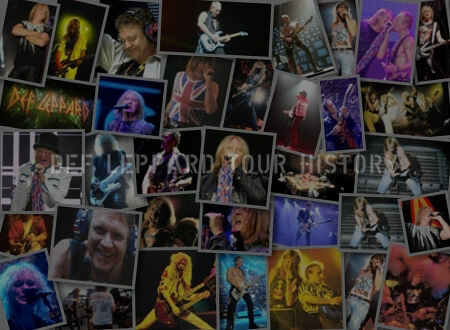 Def Leppard's performances of 'Hysteria', 'Rock Of Ages', 'Photograph' and 'Pour Some Sugar On Me' should be included along with the end performance of 'All the Young Dudes' with Brian May and Ian Hunter. 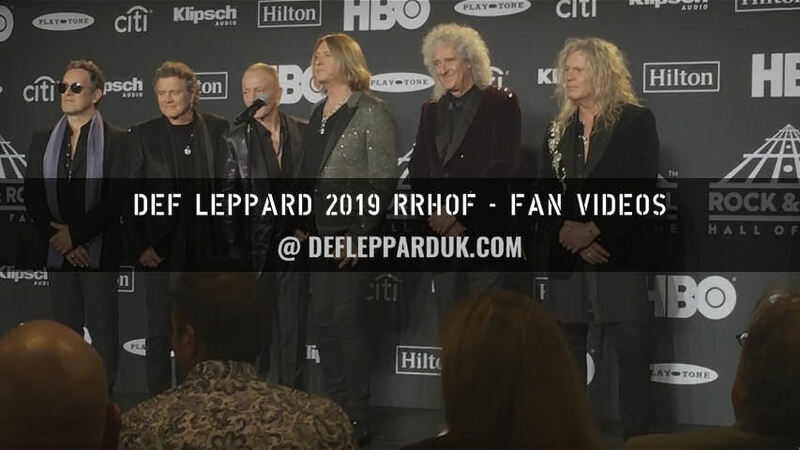 Watch the preview video below which features short clips of all the acts and view over 70 videos from the event via the YouTube playlist. 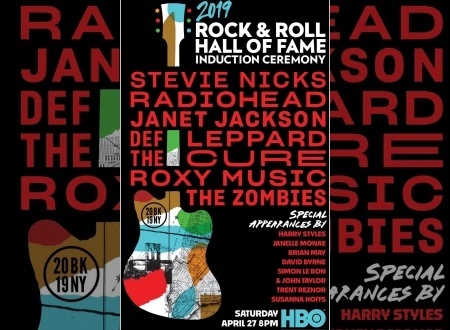 The 2019 Rock & Roll Hall of Fame inductees are Stevie Nicks, Radiohead, Janet Jackson, Def Leppard, The Cure, and The Zombies. 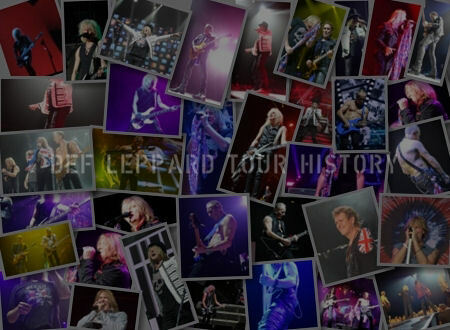 Presenters include Harry Styles for Stevie Nicks, Brian May (Queen) for Def Leppard, Janelle Monáe for Janet Jackson, Trent Reznor (Nine Inch Nails) for The Cure, David Byrne for Radiohead, John Taylor & Simon Le Bon (Duran Duran) for Roxy Music and Susanna Hoffs (The Bangles) for The Zombies.